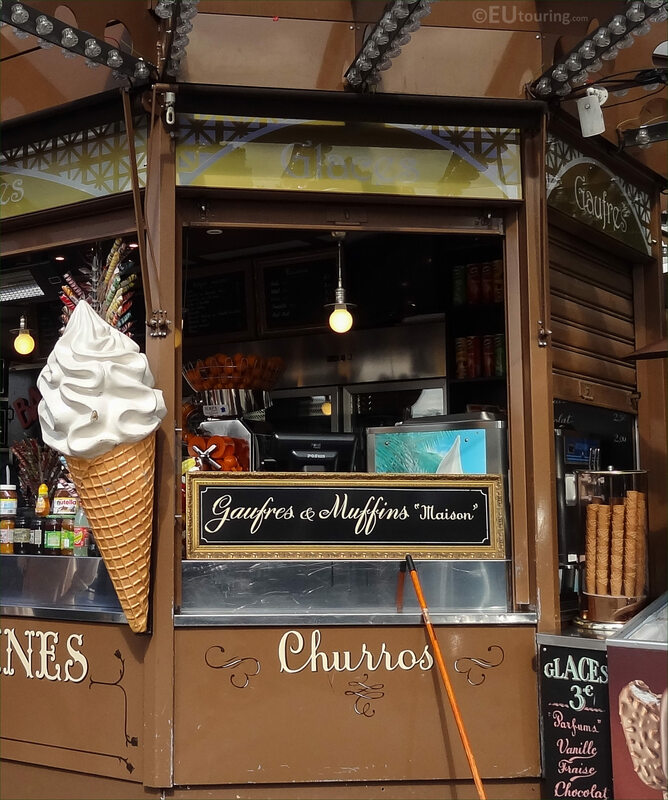 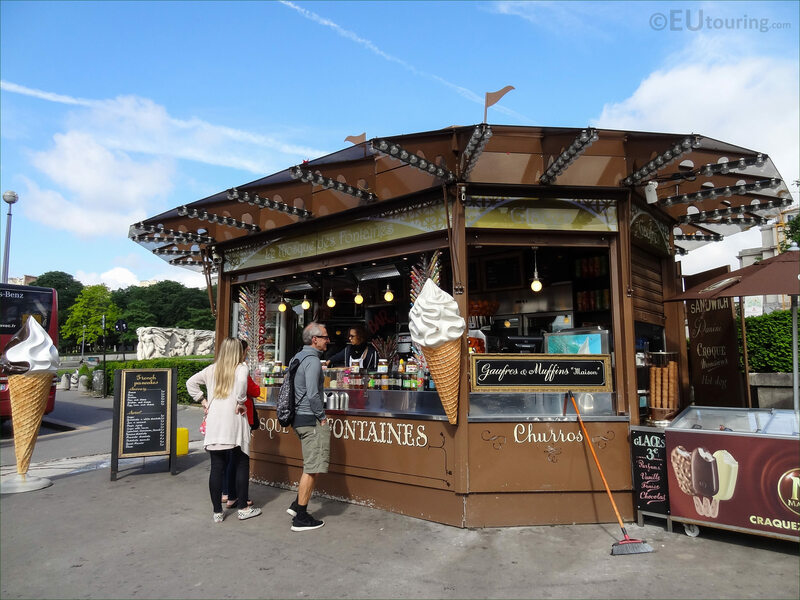 When you are walking around Paris you will find many different food stands or kiosks selling snacks, drinks etc, and these high definition photos show one located at the Jardins du Trocadero in the 16th Arrondissement. This first HD photo shows a typically designed wooden kiosk that provides snacks, ice creams, drinks, etc to help refuel your body or quench your thirst while sightseeing in Paris, and you can see the board showing different varieties of sweet or savoury French Pancakes on offer at this particular one. 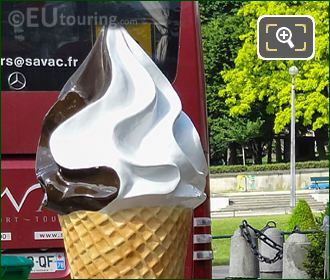 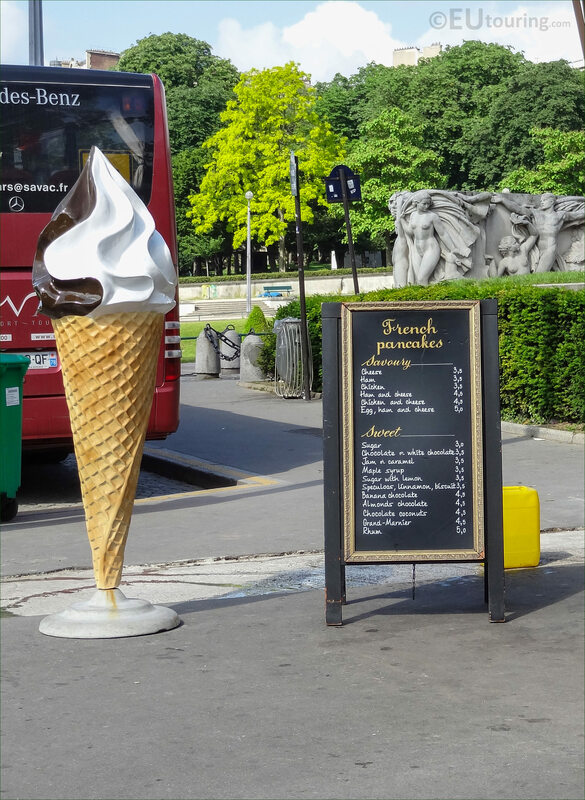 Here you can see a close up photograph showing one of the model ice creams advertising the fact that you can purchase these at the kiosk style food stand located within the Trocadero Gardens, which are called Glaces in French, and this particular one is positioned in the lower part of the gardens close to the Trocadero Fountain. 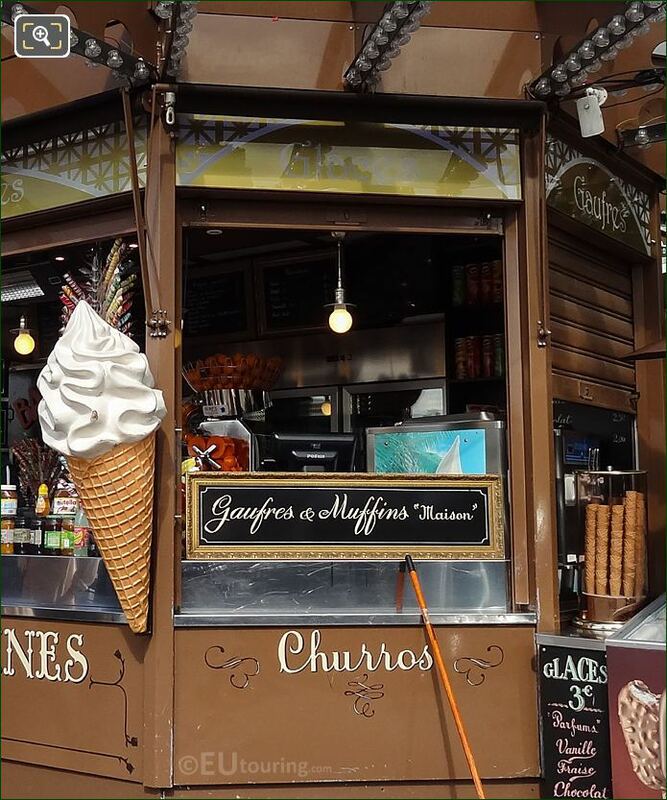 Many of the snack kiosks and food stands with also supply churros, but as you can also see on the board above this, the one at the Trocadero Gardens also advertises gaufres et muffins maison, which translates in English to house waffles and muffins, so there will be some snack or French food speciality that will be to your liking, not forgetting cold refreshing drinks are available as well.